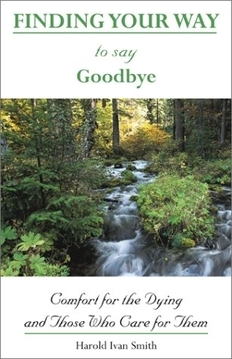 Written by a person who has been comforting and counselling terminally ill people for years, this book offers guidance, support, and encouragement for both those who are approaching death as well as their families, friends, counselors, medical and hospice practicioners, and chaplains. Consisting of short "chapters," each including a spiritual reflection, Smith moves the reader or caregiver from "admitting that you know" to "finishing the race." Along the way comfort and guidance are offered on issues such as: Releasing Control, Dealing with Privacy, Crying, Partnering with Physicians, Embracing God, Expressing Anger, Forgiving, Reviewing Your Life, Making a Valid Will, Making Visitors Comfortable, Telling Your Stories, and Composing Your Goodbyes. Harold Ivan Smith is an adjunct professor in the doctoral program at Northern Baptist Seminary and has taught courses at Nazarene Theological Seminary. He is the author of many books on bereavement and is a sought after public speaker who frequently leads workshops for hospice training events and pastoral leadership conferences.